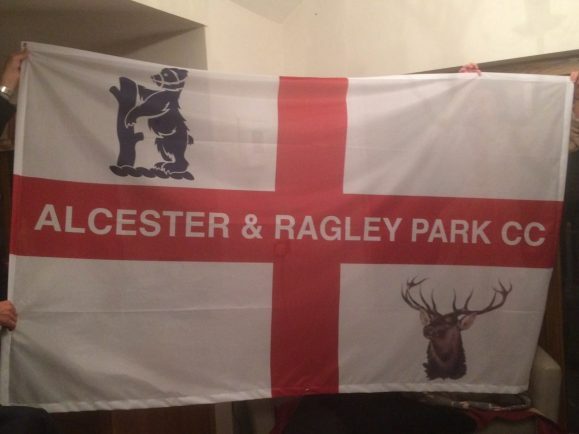 England cricket fans may see the Alcester & Ragley flag on TV in the Caribbean. NEW Alcester & Ragley CC chairman Tracy Wassall revealed excitement is building ahead of the upcoming season and believes the club is well placed to enjoy a successful campaign. The King Edward VI School Stratford old boy said hard work behind the scenes has enabled significant improvements to be made to club facilities, whilst the women’s and junior sections are thriving. “We have made a major investment in new nets at the ground, which has always been one of the most picturesque in the area,” enthused Wassall. Set in the grounds of Ragley Hall, the club will benefit from modern training facilities, with Wassall adding: “We even used the excess soil and chippings to level off the outfield and improve the access route to the ground, with the assistance of Alcester-based firm NTB Services and an army of club players, juniors and parents. “The club has more than 100 juniors ranging from aged five to 16 and they will compete in five competitions in 2019. “A select few have also broken through into county representative squads for both boys and girls following a successful 2018. Alcester & Ragley’s Saturday men’s first team maintained their position in the Cotswold Hills League Premier Division last season and the 2nds cemented their spot in Division Five. The club also runs a Sunday friendly team and is entering a side in the new 100-ball Sunday competition. Winter training for juniors will start on Sunday, January 27 at Alcester Grammar School indoor gym and anyone is welcome to attend. “I won’t be there for the first week, however, as Ian and I are literally flying the flag for the club at the first Test in Barbados,” said Wassall. Seniors nets start on February 19. For more details about any of the above or to help with developing the club, contact Tracy Wassall on 07775 540521 or visit www.arpcc.org.uk.